This workshop is focused on ways to strengthen wrists, create mobility in hands and figure out what the rest of the body can and should do to help the hands and wrists. Perfect for anyone struggling with sore wrists in regular yoga classes, you will walk away with new hope! We will not be putting any weight on hands or wrists but the aim is to in the future be able to. The workshop is in two parts, in the first part we move. We are going to work through the whole body with focus on parts that will help lift weight out of hands/wrists. Core, and some more core! The second part we talk. And go through what we did while we moved. The why? how? and how come? will be answered. Book one or both of these, obviously you will get the best experience taking both, 1 clip per part and bookable through BRUCE. Are you looking for a way to feel better and feel happier about the physical body? Are you done with diets and other restrictions? Then this workshop is for you! Mindful Eating is not a strict plan or diet full of rules to follow but an approach to eating with focus on an understanding of our habits and teach yourself how to listen to the bodies signals. Understanding the connections between thoughts, feelings and actions will teach us how to follow the signals our bodies sends out. In this workshop we will open the mind for new ways of thinking around food, health and wellbeing. A workshop for the beginner and/or the curious, we will look at a few foundational yoga positions with focus on the individual needs of each and every body. By learning positions from the inside out we can modify and find ways for everyone to find comfort in the foundational positions. Finding understanding in your body will help when continuing the journey. Workshop is suited for all levels. Can be combined with Basics of YIN that will be held straight after Basics of HATHA. This workshop is a mix of a discussion on why and how we practice yin combined with the experience of being in the positions. Perfect for anyone new to yoga and for all the seasoned yin yogis curious about learning more. It will be a workshop style where conversation will be encouraged! The focus will be on the individual needs and modifications to fit all bodies. Workshop is suited for all levels. Perfect to attend after Basics of HATHA workshop. We are all have a part of the Universe inside of us, The result of The Big Bang and all the materia created that we now consist off. The moon as a part of the universe is our closest neighbour. The moon does not create its own light it reflects the sun and the stars for us, it's cycle is the fastest in the universe, taking 28 days from start to finish and replenish each 2.5 days. In astrology the moon is the trusted mediator between us and the rest of the universe, following its cycel can help us find deeper understand of who we are. In case you prefer som har facts; the moon drives all the water on earth and the human body consists of more than 70% water, since the moon moves all water its cykle will also move us! The new moon is the start of the moon cycle, which is a great time to restart, set intentions and manifest new goals. What better way to start than with Yoga? You can expect a soft playful flow with focus on looking within, I will encourage you to explore what we can get out of the moon cycle ahead of us. Meditation and a long savasana is included. This is an opportunity to explore restorative yoga for enough time to really get a taste of it. 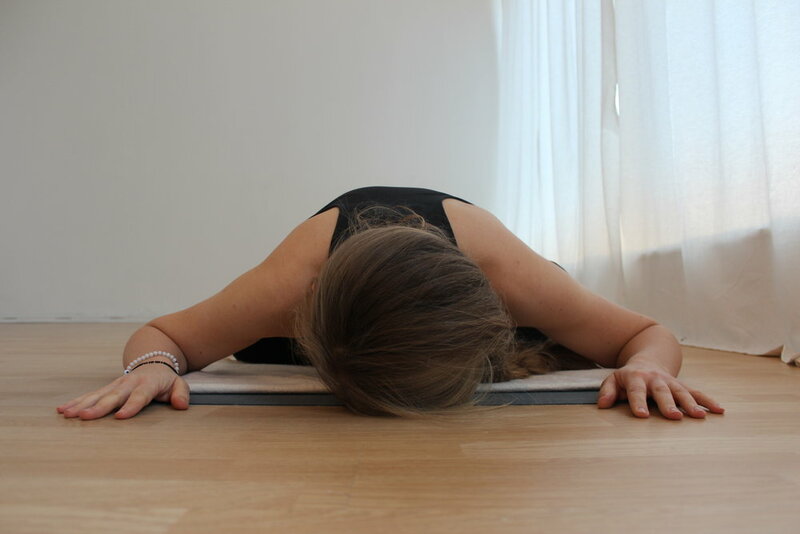 For two hours we will immerse in a few deeply relaxing and supported poses to help your nervous system to wind down. We will do so with the help of bolsters, blocks and blankets. Wear comfortable clothes. You can bring your own yoga mat if you like, but the studio offers everything we need for the workshop. Book through Timecenter or through Bruce.